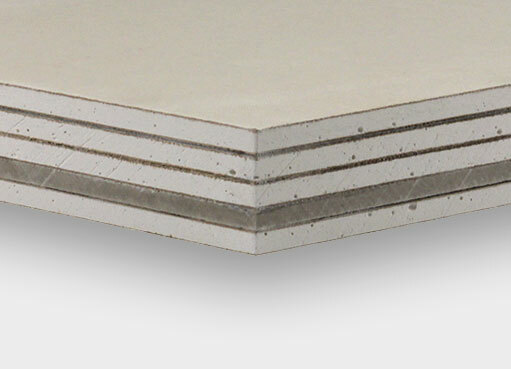 Multi-layer gypsum panel engineered to provide maximum sound attenuation across a broad frequency range. QuietRock 545 can be used in virtually any application and ideal for projects requiring high STC performance at low frequencies. QuietRock 545 is recommended for commercial theaters, studios, and sound rooms. To view all assemblies Click Here. Sound Transmission Class (STC) ratings given for lab tested assemblies. Can't find what you're looking for? Contact us for immediate assistance with your project. Sustainably manufactured in Las Vegas, NV and laminated in Newark, CA from raw material extracted from the same location in Las Vegas, NV. For a full analysis of LEED credits, sustainable attributes, and other environmental certifications, please see our LEED Credit Calculator Tool.